Combining artistic filter and drawing app. 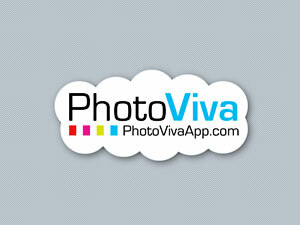 PhotoViva is an advanced photo application compatible both with iPhone and iPad that serves the purpose of enhancing photos and turning them into complex artworks. To enhance your photo of choice, PhotoViva gives you several editing instruments, like a basic channel mixer, hue, saturation, brightness, sharpen tools and more. For a quick fix, you can use the freehand crop and rely on the HDR correction to bring out details lost in the dark or light areas of your original photo. To turn photos into paintings and sketches, you have a collection of 20 different brushes, ranging from pastels to watercolor. To make the brush strokes blend organically with the subject of the photo or to obtain special effects, you can change angle and size of each brush and either pick colors of your choice or use the original as the source image. A clone feature is also included. 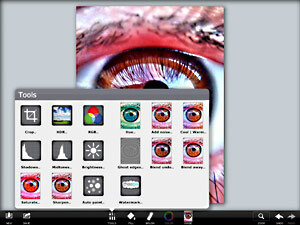 PhotoViva offers a variety of tools in a well-balanced format, succeeding where most photo-to-painting apps for iDevices failed. Results benefit significantly from the app’s great flexibility and from its wide range of available choices. Although the app comes with an autopainting feature, the best results are achievable by manually fingerpainting and adjusting settings where and when necessary. 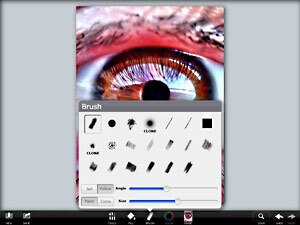 PhotoViva represents a good compromise between fully automated artistic filters and drawing applications. The app works great both on iPhone and iPad, but for obvious reasons painting on iPad’s larger screen feels more comfortable. 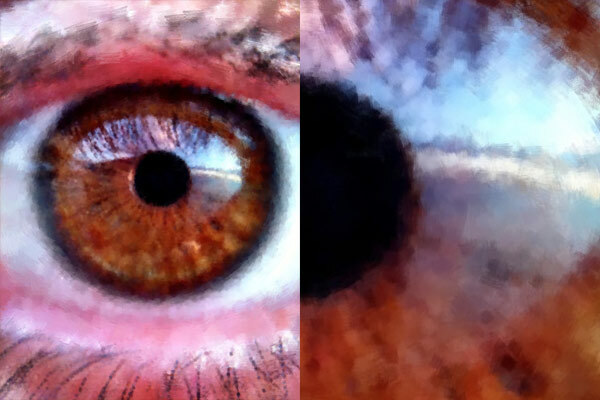 The processed image (left) and a detail in actual resolution (right). The only notable problem with this app is the final saving resolution of 1600×1200 pixels, which could definitely be improved. Compatibility: iPhone, iPod Touch, iPad. iOS 3.0 or later. Again, bought this app purely based on this review. Then realized that this is another version of the erstlwhile impressionist (my java applet days). The app itself, though awesome, is made for a bigger screen – not an iPhone, which has only so much of a canvas. Wish they would make a version of this for Mac.